This product is 94% natural. A light delicately fragranced body lotion formulated to deliver antioxidants, proteins, vitamins and minerals that protect nourish and heal the skin. 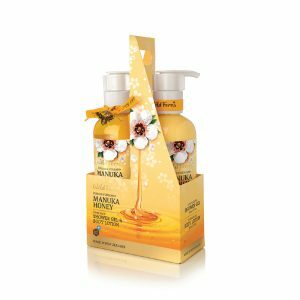 A light delicately fragranced body lotion formulated with premium certified Manuka Honey 80+ is scientifically proven to deliver antioxidants, proteins, vitamins and minerals that protect nourish and heal the skin. 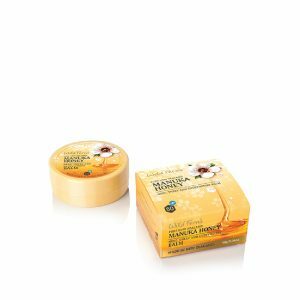 Chamomile gently soothes, leaving your body feeling soft and cared for every day. Directions: Smooth generously over the body as required. May be applied to damp skin for optimal coverage and hydration.